Space Images | Callisto: Pits or Craters? This image of Jupiter's second largest moon, Callisto, presents one of the mysteries discovered by NASA's Galileo spacecraft. 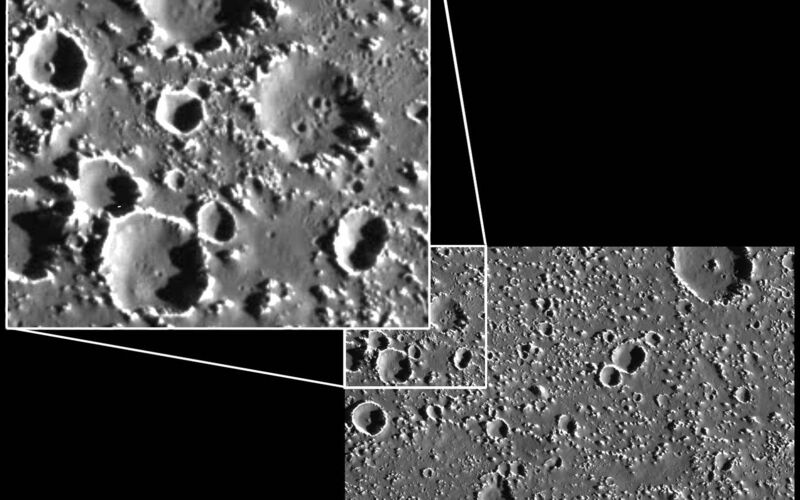 In the upper left corner of the image, what appear to be very small craters are visible (See enlargement.) on the floors of some larger craters as well as in the area immediately adjacent to the larger craters. 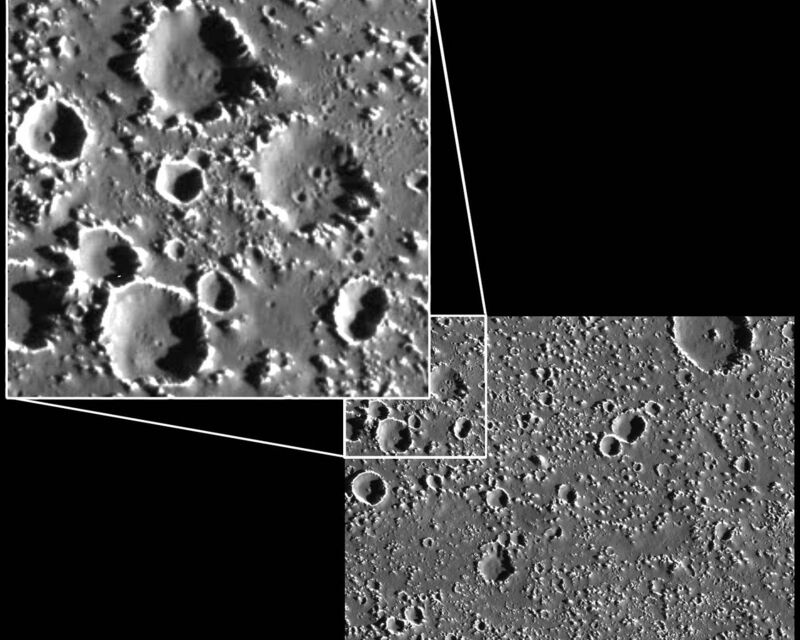 Some these smaller craters are not entirely circular. 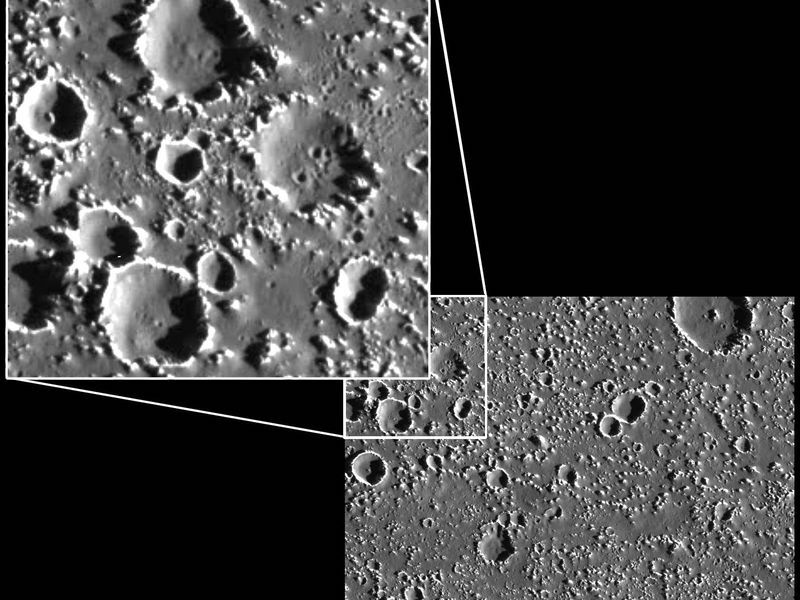 They are very similar to a population of unclassified "pits" seen in one Callisto mosaic from Galileo's ninth orbit. One possible explanation for the pits is that they represent a class of previously unseen endogenic (formed by some surface or subsurface process, rather than an impact) features. Another explanation is that they are partially eroded secondary craters. 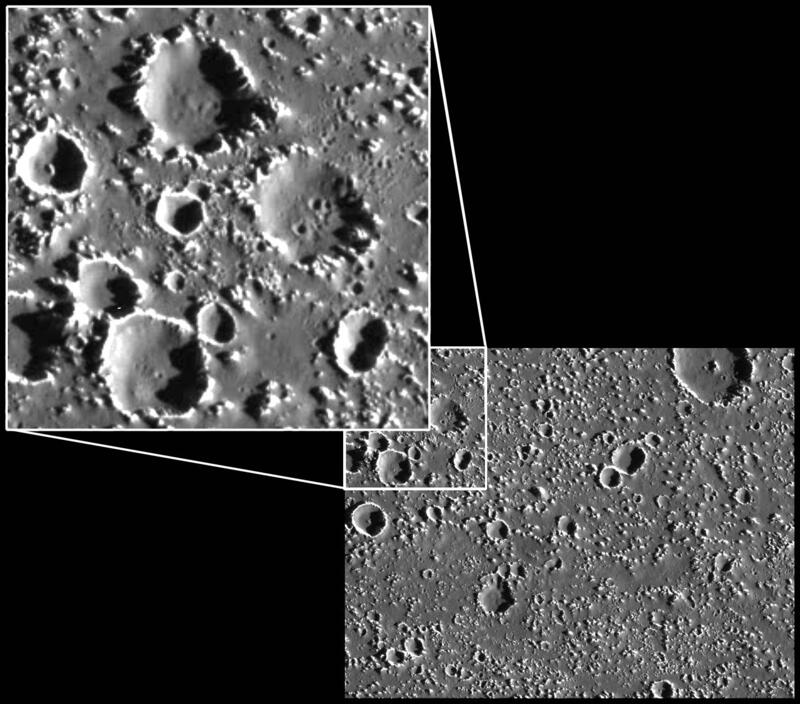 Secondary craters are formed when an initial large impact ejects large enough pieces of the surface that the pieces themselves create small craters. By studying the orientation of the pits and clusters of small craters relative to larger impacts, as well as carefully examining the physical appearance of the two groups, scientists hope to discover the origin of the pits, and the possible relationship they may have with small craters. North is to the top of the picture, and the sun illuminates the surface from the right. The full image, centered at 20.5 degrees north latitude and 142.2 degrees west longitude, covers an area approximately 72 kilometers (45 miles) by 55 kilometers (34) miles. The resolution is about 90 meters (295 feet) per picture element. The image was taken on September 17th, 1997 at a range of 8800 kilometers (5460 miles) by the Solid State Imaging (SSI) system on NASA's Galileo spacecraft during its tenth orbit of Jupiter.